Acupuncture has a very successful record with sports injuries. Many professional sports teams have acupuncturists on staff to decrease healing times and resolve stubborn ailments. But the use of acupuncture to treat acute injuries from intense or repetitive physical activity began centuries ago. It was and still is one of the primary means of quick healing for the martial arts. Specific acupuncture styles and techniques were developed to stop pain and dramatically increase recovery time. This tradition continues today and its use has expanded into competitive athletics that result in similar injuries. Acupuncturists classify acute injuries as Excess conditions. An Excess condition is just what it sounds like: there is an excess physical response (too much pain) or an excess biochemical reaction (too much inflammation or swelling). Acupuncture treatment given soon after an injury occurs encourages the body to deal with and process this excess in a rapid fashion. An improvement is usually noticed within one or two treatments. 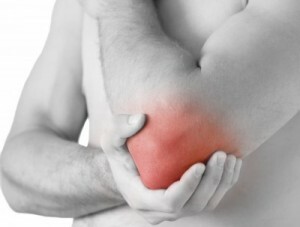 If an injury is not very severe, 3-4 treatments typically resolves the condition. More serious injuries require 4 treatments before an accurate prognosis and treatment plan can be given.